According to a 2013 report posted in USA Today, 1 in 5 (or 72 million) Americans will be 65 or older by 2030, and as more Americans enter into retirement age, more and more of them become consumers of health care. 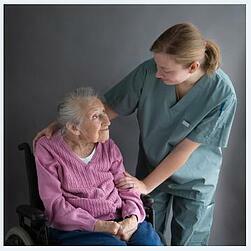 However age is not the determining factor for seniors to seek more health care services. The 2013 report identifies that many seniors suffer from chronic health conditions, obesity, and diabetes, which prompt them to seek and spend an increasing amount on health care. Lifestyles have the most impact on a senior’s well-being and longevity. It is important for seniors (and non-seniors for that matter!) to stay active. Not only is being active a catalyst for improving physical health, but it also contributes to improved mental health and a better quality of life. Many seniors today want to live independently in their homes. The problem with this is that they might stay glued to the TV or lack other indoor activities. Nonetheless, as more seniors are turning to care providers for companionship care, many are finding that the company of another can have a positive impact on one’s health. Not only can a caretaker ensure that a senior is getting a healthy dose of nutrients in their meals, but they can also help facilitate physical activities that might not otherwise be performed without assistance. And with more care providers turning to home care software and home care system solutions, it is becoming increasingly easier to document health goals and track their progress. Caretakers employed by an agency using a home care software or home care system can access a senior’s health goal online and provide updates on their progress during each visit. Each update is saved in the home care system and is immediately shared with family members who are looking out for their loved one’s well-being. Meanwhile, administrative staff utilizing a home care software system can document improvements in a senior’s health and help create new goals for the individual. Of course, these new goals can be viewed by caretakers online and verified in electronic form through an advanced home care system. As seniors take advantage of the assistance from caretakers around them, many will find it easier to improve their overall health and lifestyle. When this moment can be fully realized by the, for example, 25% of seniors living with obesity, we’ll see a dramatic decrease in health care expenditures. In the meantime, the technology available in a reliable home care software solution can lend a helping hand to our growing aging population.